Less than a year after pet deaths went unmentioned in Delta’s service animal crackdown, the airline is introducing new technology to improve the monitoring and tracking of pet travel. While more than a half-million pets are transported by airlines every year, the complaints regarding pets and airlines isn’t even a Top 10 complaint among fliers, according to the U.S.Department of Transportation. Despite that, the number of flight-related pet casualties and injuries in the last year has produced enough bad press to get the airlines’ attention. Delta Airlines is stepping up to be counted as the first to turn things around. The airline has struck a deal with CarePod, a new pet technology service that will help the airline’s Delta Cargo arm keep a better bead on a pet’s travel and keep pet owners updated in real-time. It’s taken nearly four years of evangelizing for improved pet safety, but Singapore-based CarePod’s patience has paid off. 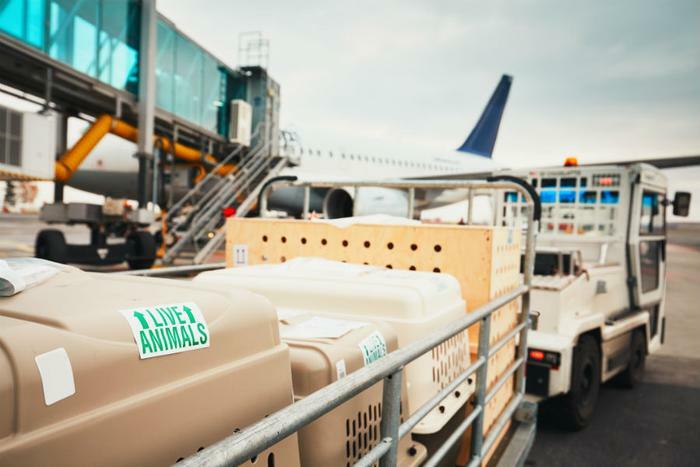 With Delta on board, CarePod has answered one of the three most important areas it feels puts pets at risk when being transported by air: inconsistency. The new partnership allows consistent care for pet travel, claims CarePod, and Delta is responding with amped up pet-related training of its crews, going as far as educating ground handlers on whose job it is to take care of pets along every point of the journey. Delta is answering the heat issue by building out temperature-controlled holding areas in several locations and adding overnight kenneling services. The airline’s new Cargo Control Center in Atlanta will also give the airline non-stop visibility of all pet shipments.